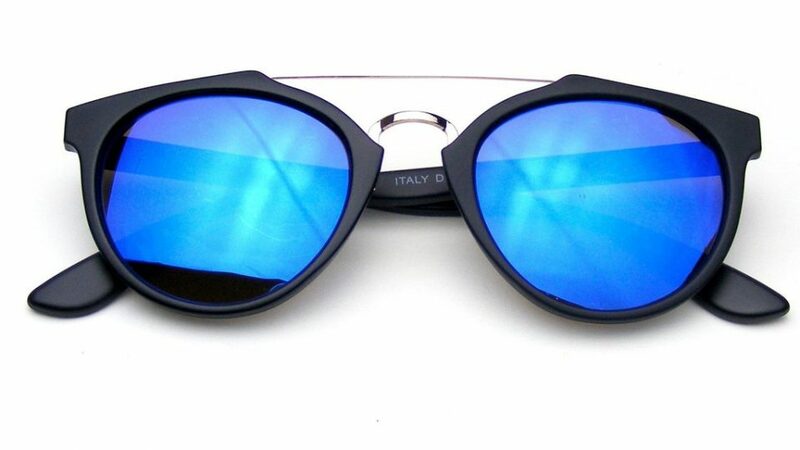 Amazon is offering an amazing deal on your choice of Emblem Eyewear Vintage Inspired Sunglasses (blue pictured) for only $7 with Free Shipping. Retail is $30. You have a choice of 4 colorways to choose. This is a unique steampunk frame that features a metal crossbar along the top and metal nose bridge. This is a one of a kind, hipster piece that is extremely stylish. Made of an acetate based frame, metal hinges and UV mirrored polycarbonate lenses.